MMUA is pleased to partner with Minnesota Rural Electric Association (MREA) on the 2019 Substation School. The annual educational program is held in venues around Minnesota. This year's School will be held in Buffalo. In addition to classroom instruction on a variety of substation-related topics, participants will also go behind the scenes to tour the Tatanka Substation and nearby Minnesota Municipal Power Agency (MMPA) Solar Field. This School can benefit anyone who works in a substation environment or those interested in learning more. NOTE: Parking and entrance located at the back of the building. Front of building is bowling alley. 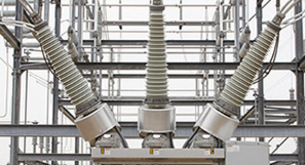 Proper operation and maintenance of your substation is key to sustaining the heartbeat of your power distribution system and ensuring reliability to your customer base. Jeff will cover the industry's best practices on a variety of operational concepts and maintenance issues. With green energy expanding, solar fields are becoming a popular topic. But what happens when your utility is approached to receive the power generated by one of them? Participants will get a first-hand perspective of what is involved in this process from start-to-finish. NOTE: Hard hat, safety glasses and safety toe shoes are required for tours. Presented from a lineman's perspective, participants fully engage during this hands-on demonstration of various tools, hardware and SCADA systems. All fees increase $50 on March 18, 2019. Deadline to register is March 28, 2019. Registration fee includes: Tuition, materials and supplies, lunch on Wednesday, refreshment breaks, bus transportation for tours, and certificate of attendance. Participants are responsible for their own PPE and lodging. MMUA will issue a refund (less $30 per person) for cancellation of an advance registration, provided MMUA is notified by 4:30 pm on March 29, 2019. Sorry, no refunds issued for cancellations after March 29. Attendees are responsible for their own lodging. MMUA has negotiated a reduced rate at the Country Inn & Suites in Buffalo for $93 per night plus tax. To make a reservation, please call the hotel directly at 763-682-5660 and ask for MMUA's group code: 0419MMUA19. Note: MMUA's hotel block closes on March 28. However, because availability is limited and the reduced rate cannot be guaranteed, we suggest you make your hotel reservation as early as possible. Participants earn hours for attendance and a certificate of achievement will be available online. Participants should watch for an email notification from MMUA. If you have questions, contact Theresa Neddermeyer at tneddermeyer@mmua.org or phone 763-551-1230. A printable version of the Substation School brochure is also available.